WordPress is the number one free tool used to create dynamic websites, and is used by millions of people from web developers to grandparents to build beautiful websites. In this comprehensive book I will show you how you can use this great platform to create the website of your dreams. 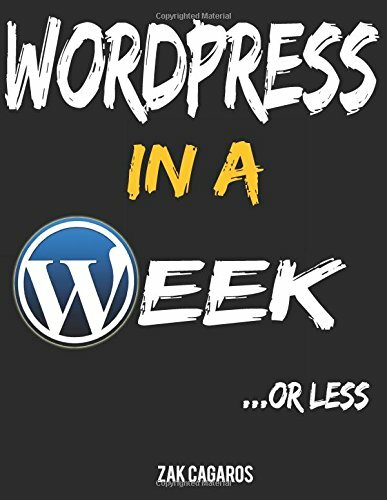 This book is a living document and a condensed resource of best practices for and by WordPress developers, intended to fast track developers past common mistakes and painful problems. It is assumed that you have a basic knowledge of PHP. WordPress Essentials for Business is a complete tutorial sequence for using WordPress to create a business website. It is designed for busy small-business owners and self-employed professionals who want to quickly master the WordPress software. This is a comprehensive view on using Ajax with WordPress. It contains three real-life examples that provide the rationale and logic behind coding decisions, the reasons for Ajax's use, and the steps from inception to completion of the examples. Step by step guide to installing the popular WordPress Blogging software. It covers every step from downloading the software to logging in to your new blog. It contains extensive screen shots to give you a picture of what is being described.